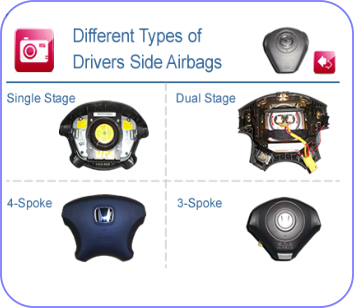 The driver's airbag is made up of several components. A cylinder filled with gas, the steel housing, airbag pack and the vinyl airbag cover. 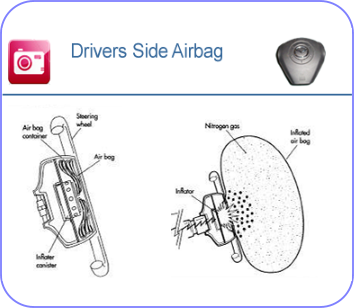 When the airbag module receives a deployment signal the igniter switch starts a chemical reaction which then inflates the airbag pack in fractions of a second. See chemistry of airbags.